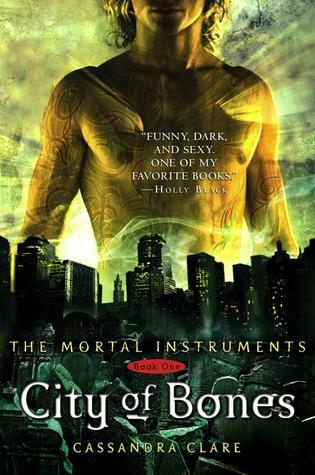 Blurb: In City of Bones, fifteen-year-old Clary Fray is introduced to the world of the Shadowhunters, a secret cadre of warriors dedicated to driving demons out of our world. And she's introduced with a vengeance, when Clary's mother disappears and Clary herself is almost killed by a grotesque monster sent by the evil and powerful Shadowhunter, Valentine. How could a mere human survive such an attack. “Is this the part where you start tearing off strips of your shirt to bind my wounds?" 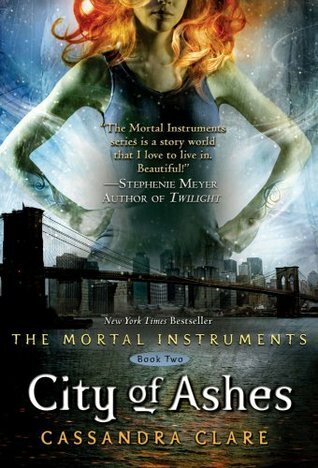 Blurb: In the second novel, City of Ashes, Clary just wants her life to go back to normal--but that turns out to be impossible. 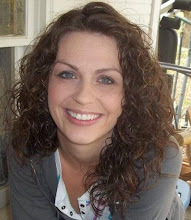 For one thing, her mother is still in the hospital, in a mysterious coma. For another, she and her newfound brother Jace have fallen under a cloud of suspicion now that the Shadowhunter world knows that Valentine is still alive--and that Jace and Clary are his son and daughter. Then Clary's best friend Simon is turned into a vampire and kidnapped by Valentine, who intends to sacrifice him as part of a bloody ritual that will make the Mortal Instruments Valentine's forever. 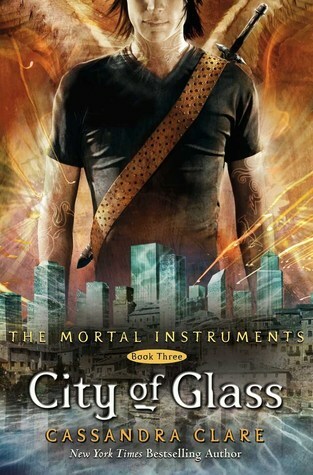 Blurb: In book three, City of Glass, Clary has to use all her ingenuity and newfound magical skills to get herself to the Glass City in Idris, the secretive Shadowhunters' home country, where she is forbidden to go--for it is only there that she can find the cure to the enchanted sleeping sickness to which her mother has succumbed. When Valentine attacks the city and destroys the demon towers, Clary and her allies are all that stand between him and the total annihilation of all Shadowhunters. Love is a mortal sin and the past tangles inextricably with the present as Clary and Jace face down their father in the final installment of the Mortal Instruments series. Blurb: The Mortal War is over, and Clary Fray is back home in New York, excited about all the possibilities before her. She's training to become a Shadowhunter and to use her unique power. Her mother is getting married to the love of her life. Downworlders and Shadowhunters are at peace at last. And—most important of all—Clary can finally call Jace her boyfriend. But nothing comes without a price. Someone is murdering the Shadowhunters who used to be in Valentine’s Circle, provoking tensions between Downworlders and Shadowhunters that could lead to a second bloody war. Clary’s best friend, Simon, can’t help her. His mother just found out he’s a vampire and now he’s homeless. Everywhere he turns, someone wants him on their side—along with the power of the curse wrecking his life. And they’re willing to do anything to get what they want. At the same time he’s dating two beautiful, dangerous girls—neither of whom knows about the other. When Jace begins to pull away from Clary without explaining why, she is forced to delve into the heart of a mystery whose solution reveals her worst nightmare: She herself has set in motion a terrible chain of events that could lead to her losing everything she loves. Even Jace. Love. Blood. Betrayal. Revenge. 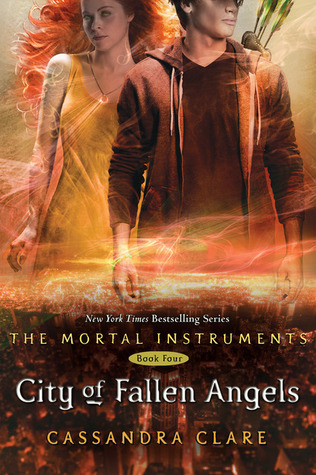 The stakes are higher than ever in City of Fallen Angels. Blurb: The demon Lilith has been destroyed and Jace has been freed from her captivity. But when the Shadowhunters arrive to rescue him, they find only blood and broken glass. Not only is the boy Clary loves missing–but so is the boy she hates, Sebastian, the son of her father Valentine: a son determined to succeed where their father failed, and bring the Shadowhunters to their knees. Have you read the Infernal Devices? Those are great too! Yes and I love it to! I can't wait until clockwork Princess is released! I love all the Characters but I think Jace and Magnus are my favorites! For some reason I couldn't get into the first one. Does the series get better as it goes on?